Our 2018 series of Telekom Electronic Beats Clubnights throughout Germany began earlier this month in Dresden and continues this weekend in the neighboring city of Essen. Our Saturday-night lineup at Studio includes the loveable boy band of techno merry pranksters, FJAAK, and Russian up-and-comer Inga Mauer. You can get to know the trio via the EB.tv New Faces feature embedded below, and if you’re unfamiliar with their co-headliner we’ve compiled a guide that will help you catch up. Mauer was raised in what is often referred to as “a remote village in the heart of Russia,” but eventually she moved to one of the country’s biggest cities: St. Petersburg. There she built up experience as a resident DJ at the best underground nightclub in town, Stackenschneider, which is located in the downtown district by Konyushennaya Square. It’s named after Audrey Stackenschneider, a Russian architect who designed the building that housed the first iteration of the club. She still plays there regularly, as she’s affiliated with the recurring 808 Problems night. 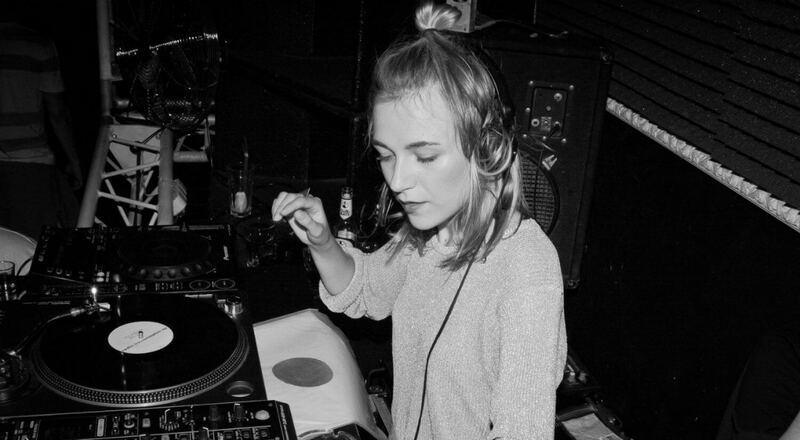 Mauer often cites Dutch crews known for developing the extreme fringes of rough-hewn techno, electro and acid as main influences on her taste and productions. Those include, of course, Bunker Records and the predecessor to Intergalactic FM, the Cybernetic Broadcasting System. In fact, her inaugural solo release, From Cologne to Clone, explicitly references Rotterdam’s most famous record store and electronic label. So perhaps it only makes sense that she’s now based in Holland and has joined Amsterdam’s DJ scene with appearances at De School and Dekmantel Festival and broadcasts on the local station Red Light Radio. For about two years Mauer has hosted a popular program on the eponymous, global online radio station helmed by Matias Aguayo’s beloved Cómeme label. As the name “Bon Voyage” suggests, travel becomes a central theme for Mauer’s audio journeys through wave, techno, musique concrète and other left-field sounds. The disparate styles are often organized around a mood or person known for their adventures around the world. Her style fits well in the Cómeme family, which has in recent years inducted likeminded wave-influenced musicians like Borusiade and Lena Willikens. The first Inga Mauer record contained six tracks recorded when she lived between Cologne and Rotterdam, which explains the title. The mini-album covers her main influences: “I’ve Nothing To Say” toys with electro and acid, while “Cologne Clone” offers hazier and wavier vibes and “Regret” provides the most straightforward take on techno. It was released on a sublabel of John Talabot’s Hivern Discs, HVNX, which is dedicated to releasing min-albums and concept EPs. Last year Mauer joined the ranks of another established stable alongside Cómeme and Hivern Discs: Shtum. As one of the smaller planets in the orbit of Dresden’s Uncanny Valley family, Shtum has released works from some of Germany’s most exciting talents, like Leibniz and Institut für Zukunft resident Perm (who put together our guide to IfZ), as well as sought-after international talents like TEB Clubnight alum Avalon Emerson. Mauer’s Shtum 12-inch is somehow more direct than her previous effort without losing her emotive qualities, and it fits in well in Uncanny Valley’s wave-y universe.